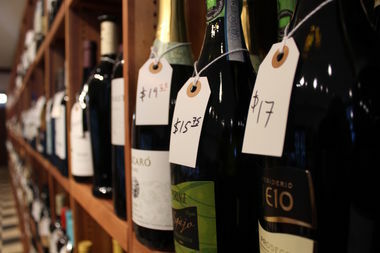 The store is adding another 50 varieties of wine later this week to expand it's selection from wineries outside Europe. HYDE PARK — The new 57th Street Wines has quietly opened in Hyde Park, offering a wide selection of specially curated wines and spirits. The new store from the owners of Open Produce and Cornell Florist on Friday taped a paper "open" sign on the window of the old O’Gara & Wilson bookstore at 1448 E. 57th St. The shop is run by longtime Hyde Parkers who snatched up the storefront that had been the final home of an iconic 100-year-old bookstore when it went on the market earlier this year. The shop has brought in as wine buyer another South Sider, Bronzeville resident Derrick Westbrook, the sommelier at the Michelin-starred restaurant Elizabeth in Lincoln Square. Westbrook and the owners have definitely brought in some wines that might be otherwise hard to find — even at the soon-to-be expanded Hyde Park Binny’s. 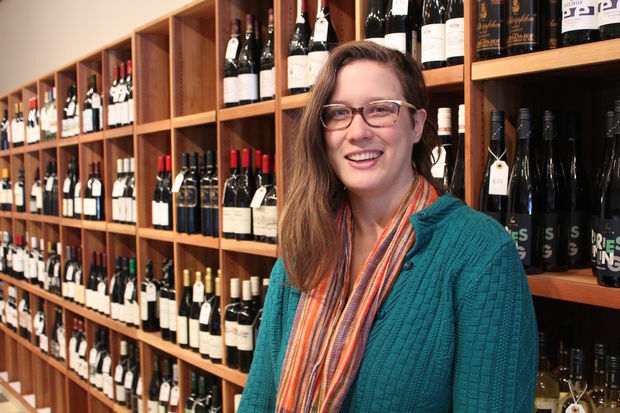 She said the store is expanding later this week to add another 50 varieties of wine to balance out its current leanings toward European wines. Manager Becci Behlen said she tasted 40 wines a day for a week straight to make sure every bottle 57th Street Wines sells is worth drinking. Behlen said the rush to open was exhausting, tasting up to 40 wines a day for a week straight. But she said it guarantees there’s not a bad bottle in the lot, whatever the price. “Everything here is good, I sell it because I would drink it,” Behlen said. She said so far the store is learning that closer to campus, tastes get a little more international and people are willing to try wines from pretty far flung areas — and Hyde Parkers really like bourbon. “Our bourbon disappeared fast,” Behlen said. She said she’s also excited about offering some of the more unusual beers from local breweries that Open Produce just doesn’t have the shelf space to offer. The store will have an official opening Jan. 20 with wine tastings and will soon start setting regular dates for wine and craft beer tastings. 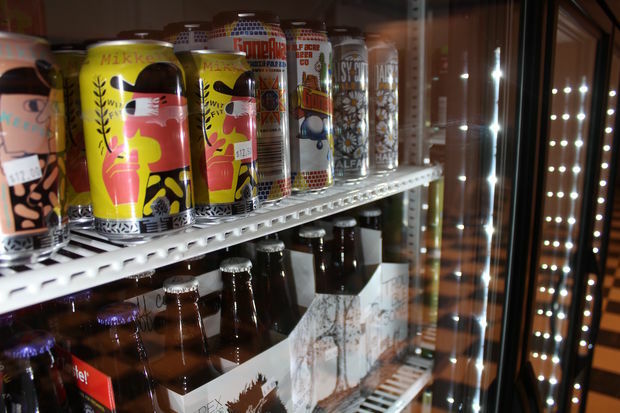 The owners are expanding on their selection of Chicago-brewed beers on sale at Open Produce.